One Call, and we clean it all! 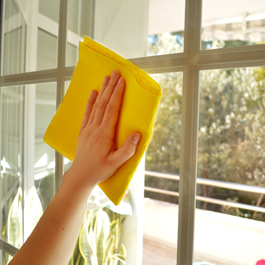 Call us for deep/spring-cleaning chores and we'll have them finished in no time. Let us do all the work! You relax, and enjoy your fresh, clean house! 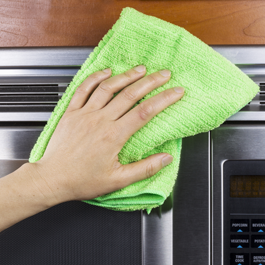 Our recurrent cleaning service provides a time-saving solution for busy lives. Arrange a cleaning schedule that suits you, and relax in comfort when you get home from work. Let us lighten the workload with our move-in and move-out cleaning service. We thoroughly clean the home you're leaving, and can clean the one you're moving to. Don't Stress, let us handle your mess! Tip Top Cleaning Services, LLC offers reliable house cleaning services in Northwest Maricopa County. 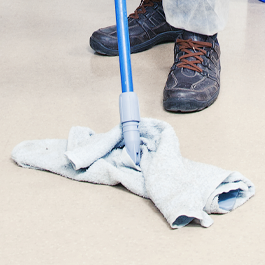 We are a professional cleaning company, and our services are provided in an efficient manner. Contact us for regular, recurring service, special deep cleaning, or thorough cleaning when you're moving in or out. We even help you declutter and get organized. Call for a customized quote that meets your needs. We accept payment by cash, check, or credit card. Our founder has more than eight years of experience. She also worked in the medical field for many years. The medical knowledge combined with the house cleaning knowledge was a perfect fit for starting her own business. Tip Top Cleaning Services, LLC cares about your home and your health. Refer a friend, and get $10 off your next clean.